* 1.1 million units - At some point i started to expect 1 million units, and as the year came to an end, not only it got there, but actually surpassed it!. And the Market Share reached 4.2%, a bit more than the 2%-something of the USA or Europe. * 350.000 sales - Strong second half of the year, leading to a 2.1% share. * 386.000 units - Sales continue to grow steadily, with the PEV share reaching 2.5%, with plug-in hybrids losing importance, with BEV's now outselling PHEV's. * 52.000 units - What can i say, sales have dropped 7% and the PEV share has dropped to 1%. Big disappointment. * Tesla Model 3 #1 - The new darling in Canada. How could it be otherwise? * 43.000 units - Strong, steady growth, with the market share ending at a record 2.2%. * Hyundai Kona EV #1 - Veni, vidi, vici. In only 8 months in the market, the Hyundai model surpassed everyone else, scoring even a new all-time record (11.000 units). The Kona EV is the EV Disruptor in Korea. * 31.000 sales - A hot market, with doubling sales, and the market share now reaching 1.7%. How high will it reach in 2019? 3%? 4%? 5%? Thailand - Less than 1.000 units, the 2018 trophy was still for BMW, but Hyundai should steal the 2019 title. 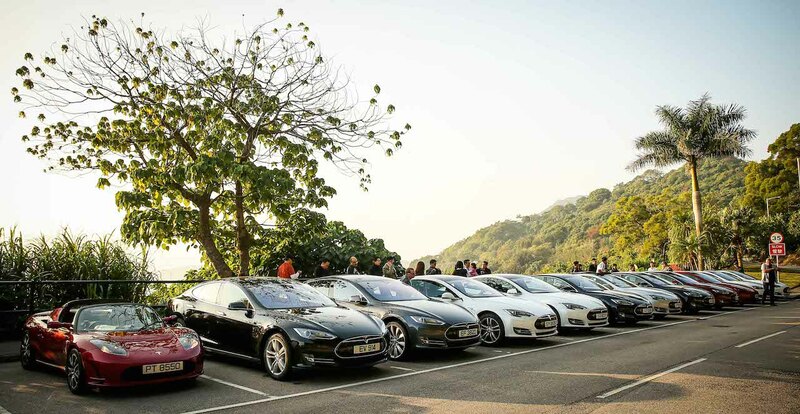 Assumig Tesla with a 6.000 units steady weekly production cadence of Model 3 in 2019, it gives roughly 132.000 units until end of June 2019. So, if we assume that 12.000 units every month are destined to Europe alone, it will only give 120.000 units. The problem here so far is that the first two vehicle carriers destined for Europe, will only reach Zebrugee-Belgium on the first week of February, which means that the first 12.000 units of January 2019 are already eroded from the counting. At this point also, no one has the knowledge that inside of the each vehicle carriers are 6.000 Model 3 units, add to that, the capacity for Tesla Europe to unload and dispacth all of them to customers until end of February 2019, it is then to expect best chances of maybe 6.000 Model 3 registered units for the period January-February 2019. If we add all that and extrapolate for the period in analysis, it gives at best around 55.000 Model 3 units. I expect many Model 3 sales in Europe, at least there are many people with reservations for it, but seriously doubt there are that many queuing for buying Performance and Long Range AWD versions of it. This leaves us directly to the sales chart, so far, in the previous year, both the Renault Zoe and the Nissan Leaf have managed to deliver around 20.000 units on a 6 months period, both, a lot more affordable and manufactured directly in Europe. i guess it will depend on a number of things, namely the MR version volume availabity and when will the SR version land in Europe. India started much later in the Solar Power and today, its World #5 and the same thing will happen with plugin vehicles. The 2,000 vehicles sold is just the seed and it will start sprouting rapidly. Well, Russia and Ukraine have neglible sales of new EVs, but they are market for the used Leaf, primarly from Japan. Used EV sales have grown in Russia from 1 049 in 2017 to 2 239 in 2018, with Leaf having 90% share. These Leafs are used cars imported from Japan to Russian Far East, and mostly stayed there. 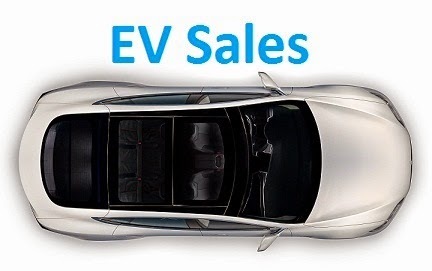 In Ukraine,total EV sales have also grown in 2,2 times up to 5300 sales in 2018(83% used cars). Both countries are pretty poor with average monthly income is around 500$ in Russia and 330$ in Ukraine. But EV have more economic sense in Ukraune, as gasoline in Russia is the cheapest in Europe(and both countries have pretty low electricity prices). Ukraine also have much better charging network(already), warmer climate and smaller distances between cities. Anyway, do not expect meaningfull Tesla sales for the next few years, as Teslas hold their resale value nicely, and used Model 3 would hit market only in 3 years in the best case. I agree with most of your post, but i still think Tesla should open a Store in Ukraine, i think the sales there justify it. Yep, the EV community in Ukraine is very Tesla friendly. And in Russia actually too, despite some anti-Mask propaganda, which had origin mostly from recent Roskosmos failures (opposition in internet likes to point on Roskosmos vs SpaceX comparison, and goverment TV usually reply in "Musk is a fraudster and showman" news stories).